The Southwest Symphony Society orchestra will present its concert �? 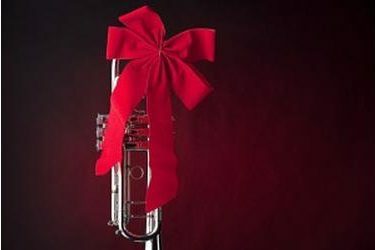 ?A Merry Little Christmas�?� at 2 p.m. Sunday, Dec. 13, at the First Southern Baptist Church, 621 N. Western Ave., under the direction of Conductor Mark Compaan. The talented group of local musicians will play both classical and popular Christmas music. Admission is a free-will donation and refreshments will be served. This concert will also serve as the Southwest Symphony Society�? ?s annual meeting. �? ?Our bylaws require an annual meeting so we like to have one at a concert,�?� said Kay Burtzloff, president. �? ?We promise to only take a few minutes to conduct our business. The Southwest Symphony Society is a Liberal non-profit organization dedicated to promoting classical and contemporary music in the community utilizing the talents of local and professional musicians. For more information, contact Kay Burtzloff at 620-629-0203.